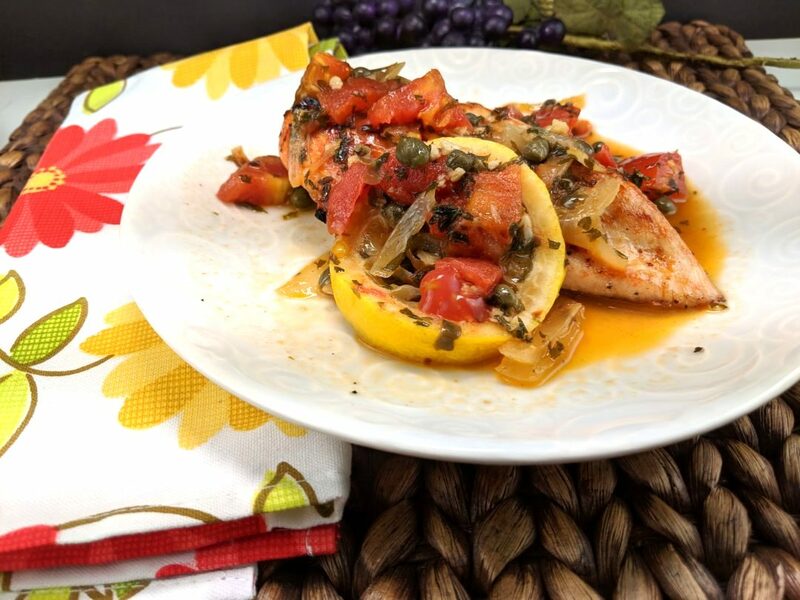 If you want to dress up otherwise boring Grilled Chicken, this is a great recipe! Especially if fresh garden tomatoes are available. Grill your chicken as you usually do. While it’s cooking, make this great accompaniment! Saute a little onion until translucent, add a little garlic. 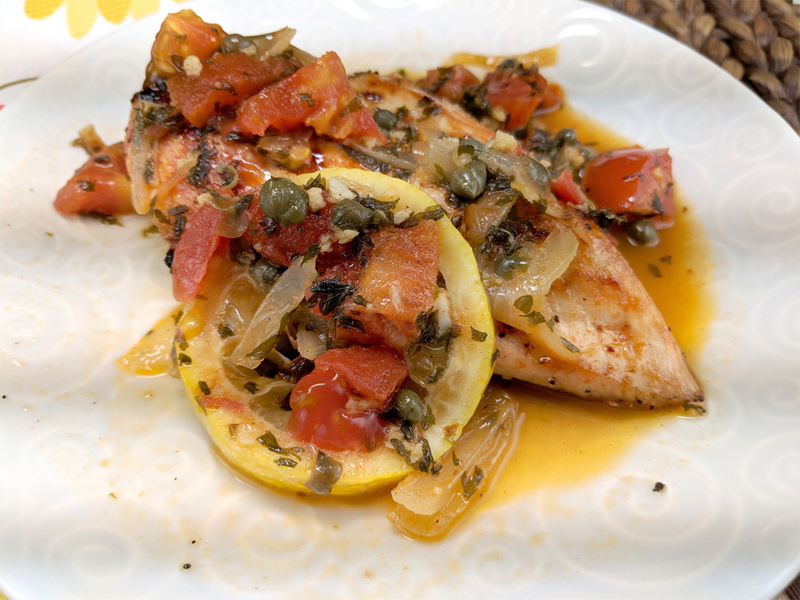 Add onions, capers, tomatoes, parsley, white wine, a sprinkle of red pepper flakes, lemon juice and lemon slices. Let it simmer while chicken is being cooked. When finished, Put some of the mixture over chicken and enjoy. I love all of the flavors in this accompaniment! You will too. Grille chicken as usual on the grille or cook on top of the stove. While chicken is cooking, saute onion in a little oil in a saute pan. Add garlic and cook for 1 minute. Add diced tomato, capers, parsley and white wine. Cook on medium until wine had reduced slightly. Add lemon juice and sliced lemons to mixture. Cook until flavors meld slightly and top chicken with mixture.